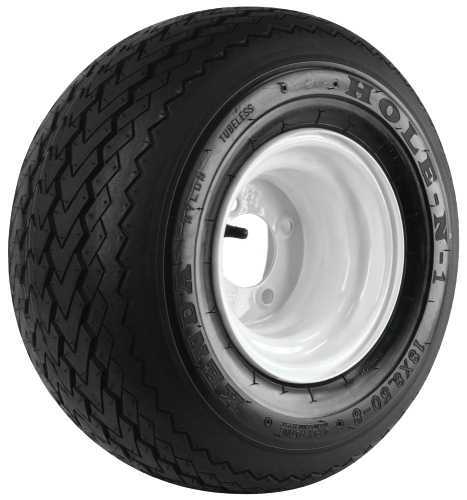 This golf cart tire and wheel assembly fits most golf carts. It includes an 8" x 7" four-hole rim and a 4"x 4" rim bolt circle.^^Specifications|Diameter: 18"|Tread: Hole-N-1|Size: 18x8.50-8|Ply: 4|Maximum Weight: 815lbs.|Shipping Weight: 15lbs. Keeping track of your practice balls just got easier. Made from solid steel, these range buckets can withstand the weight of your golf balls without breaking or cracking. Each bucket holds up to 144 standard or practice golf balls, ideal for a round of practice swings. When you're ready to take your golf balls to the next location, simply grab the bucket by the handle and get moving. 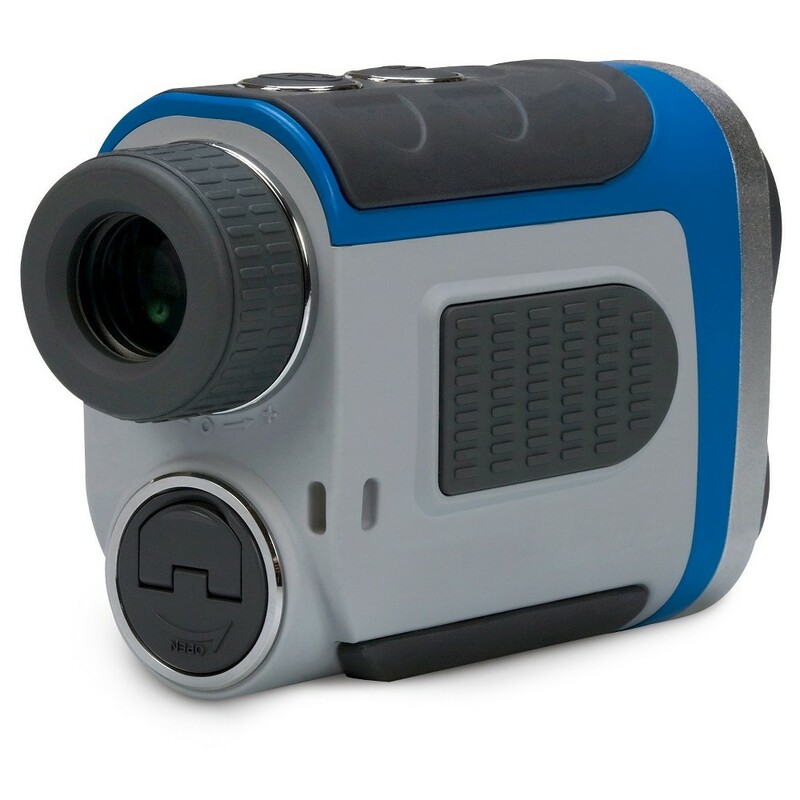 Perfect for schools, golf courses, country clubs, driving ranges, and even your own backyard. So you can focus on improving your swing. This large bucket will get you through over a hundred practice hits. Unlike plastic alternatives, these metal buckets won't break or crack, even when they're filled to the top. Their sleek look will add a professional touch to any game. Choose between a single bucket, 3 pack, or 6 pack to use anywhere you practice golf. When they're no longer in use, simply stack the buckets and store them away. Perfect for keeping track of your practice balls. 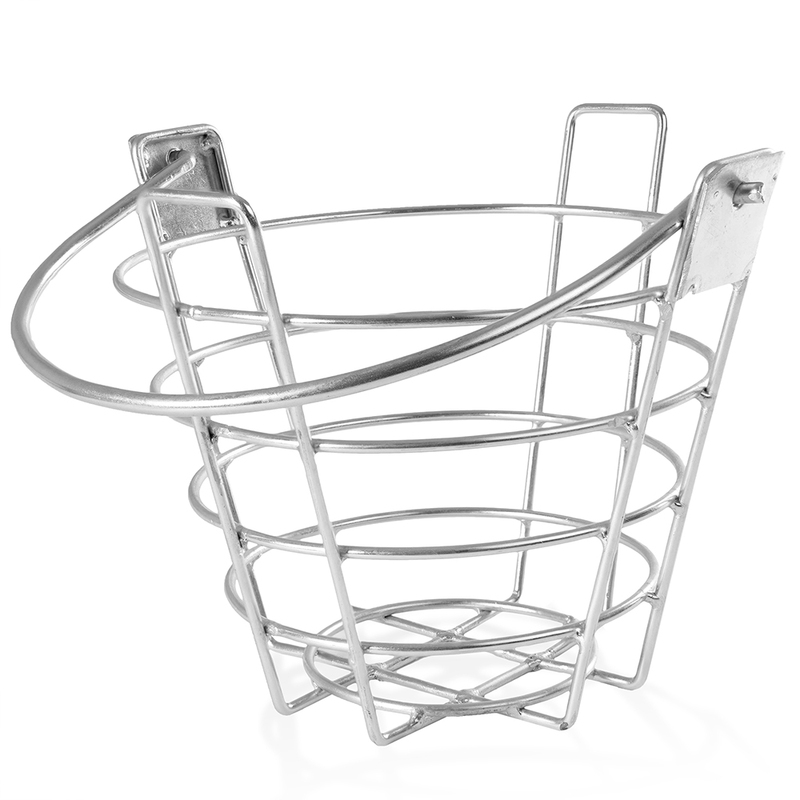 This portable basket is made from solid steel and are able to hold the weight of your golf balls without breaking. The bucket is able to hold up to 50 practice or game balls, making it perfect for short or long sessions at the range. When you're done or want to move, the basket is lightweight and sturdy enough to carry without throwing your back out after practicing those swings. Excellent for driving ranges, country clubs, schools, or even your own backyard. You'll be able to get in 50 swings with this range bucket. 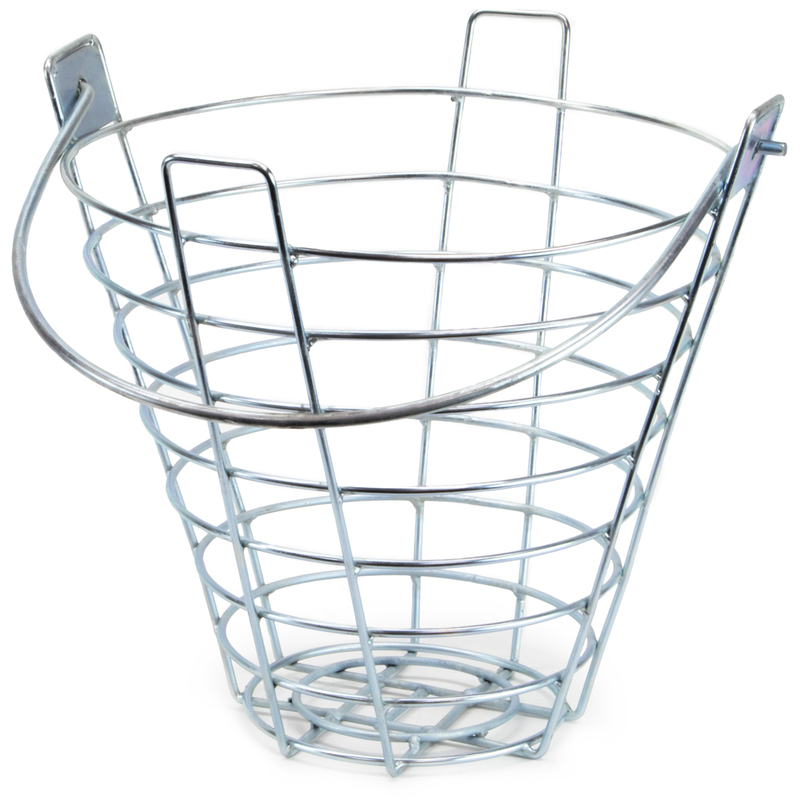 Unlike plastic or skinny wire-based options, you won't have to worry about wear and tear to this bucket. The sleek steel shows off a professional look amongst your peers. Available to order in a single, 3-pack, or 6-pack so you can set up a practice session with multiple people or hit the range with your kids! Buckets are stackable for easy storage. 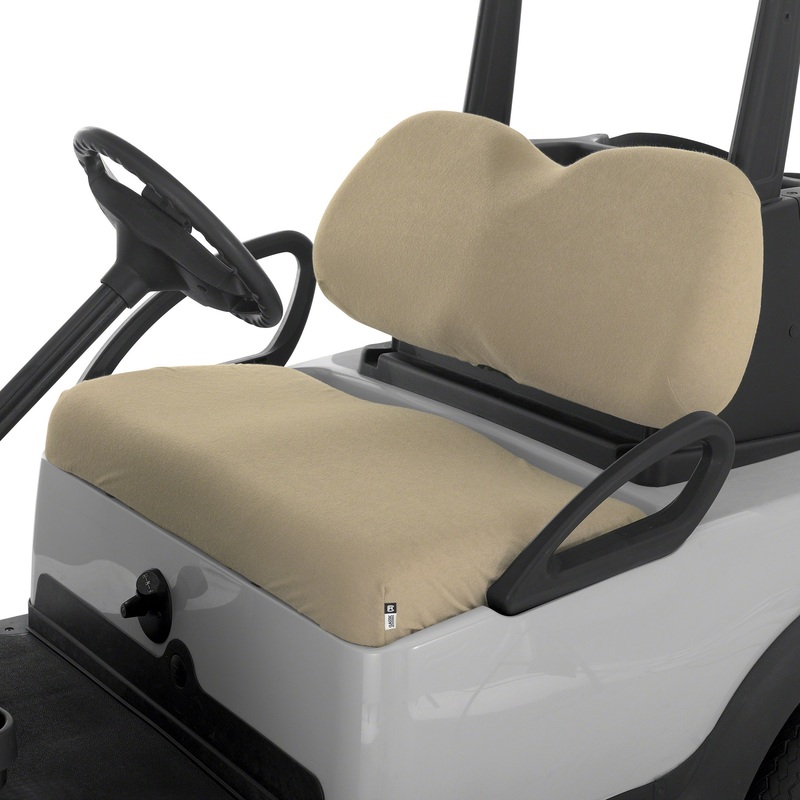 Classic Accessories Diamond Air Mesh Seat Covers (Khaki), protects new seats or renews the look of old ones! The Fairway Golf collection features a near-perfect fit on universal covers and enclosures. This seat cover features: Unique diamond mesh weave allows air circulation, adds comfort and creates a technical, sporty look. The stretch fabric creates a custom like fit and extends the life of your seats. Also protects against dirt, sun damage and wear. Elastic hem and strap system provide a custom like fit. Fits most golf cart seats in minutes. Machine washable. 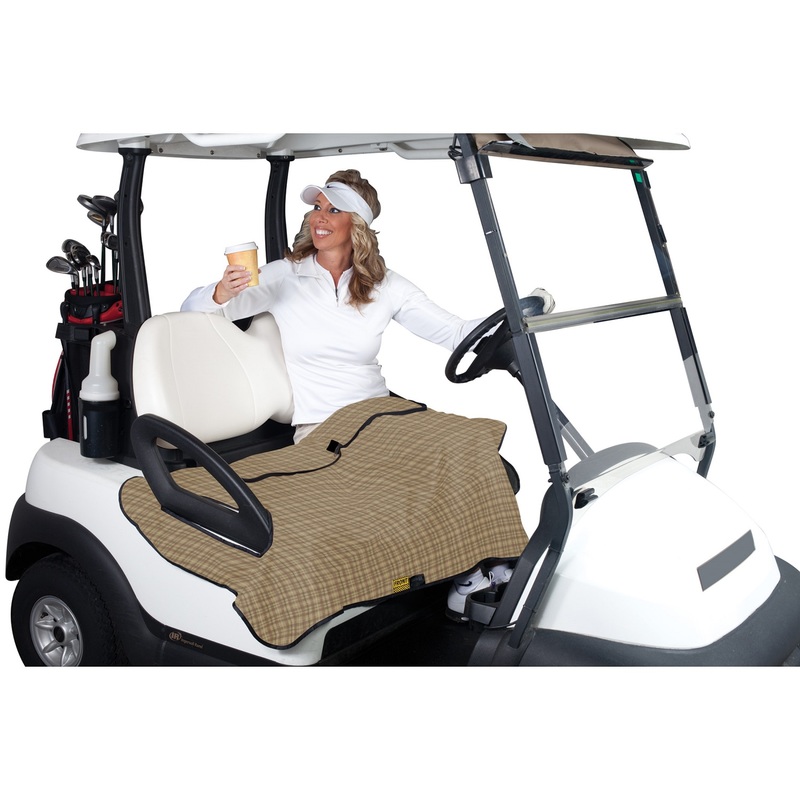 Unzip this attractive Golf Seat Blanket by Classic Accessories and youG++ll have instant protection from cold, damp or dirty golf car seats. Its reversible quilted design features fashionable plaid water-resistant fabric on one side and plush fleece on the other. Fabric is a wipe-clean water-resistant, and heavy-duty that is machine washable. Exterior pocket offers storage and placement of personalized embroidery. The blanket self packs for easy transport. 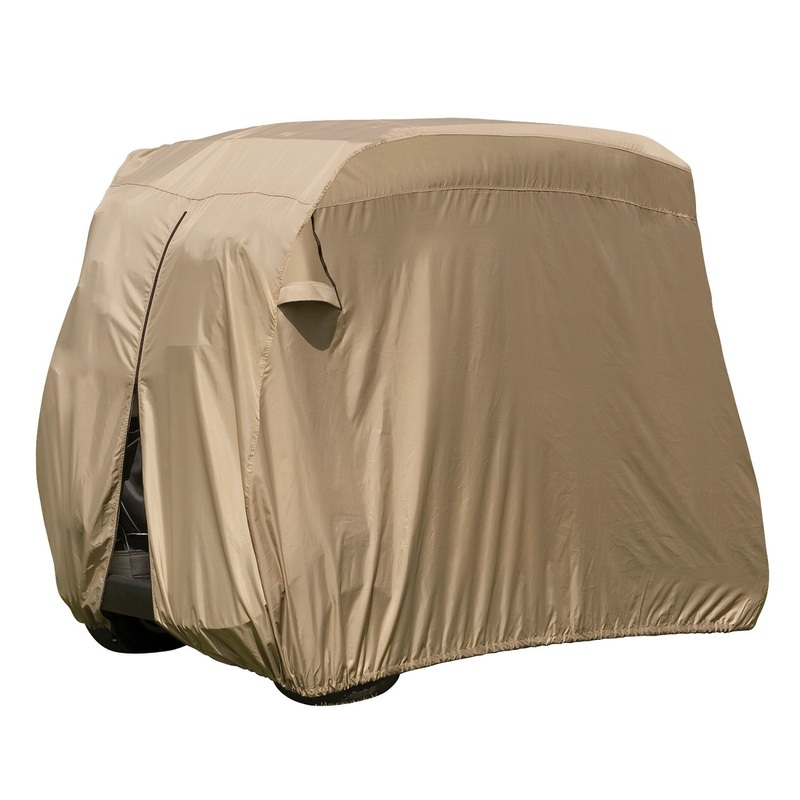 FadeSafe The Drive by Yamaha Golf Car Short Roof Enclosure (Khaki) is made with FadeSafe solution-dyed fabric significantly reduces sun bleaching. 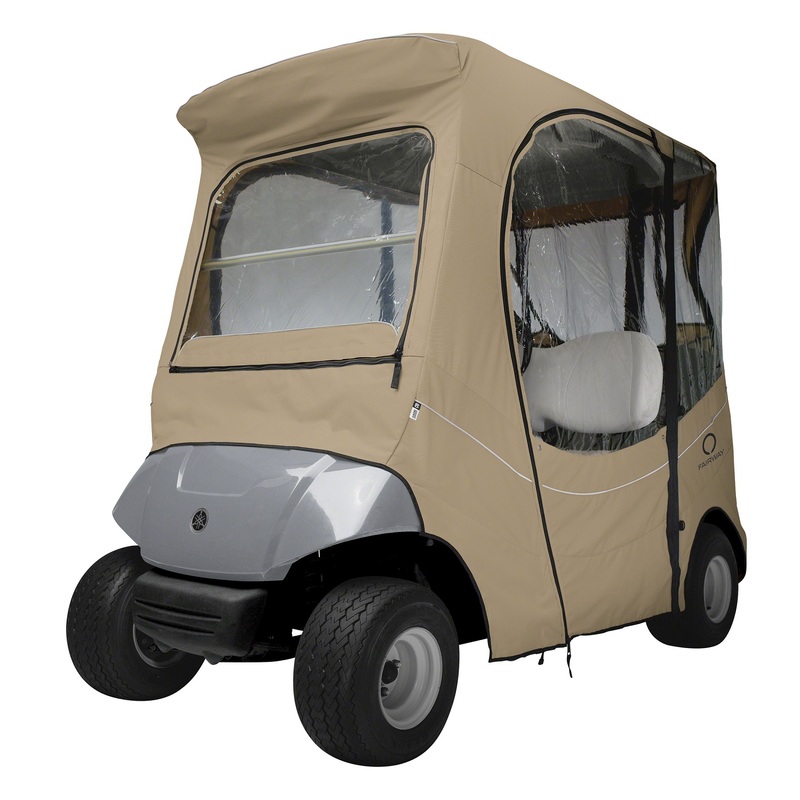 Supplies your golf cart with full protection against weather and wind. Fits over roof and secures with hooks on bottom. Quick zip-off windshield stores in front pocket. 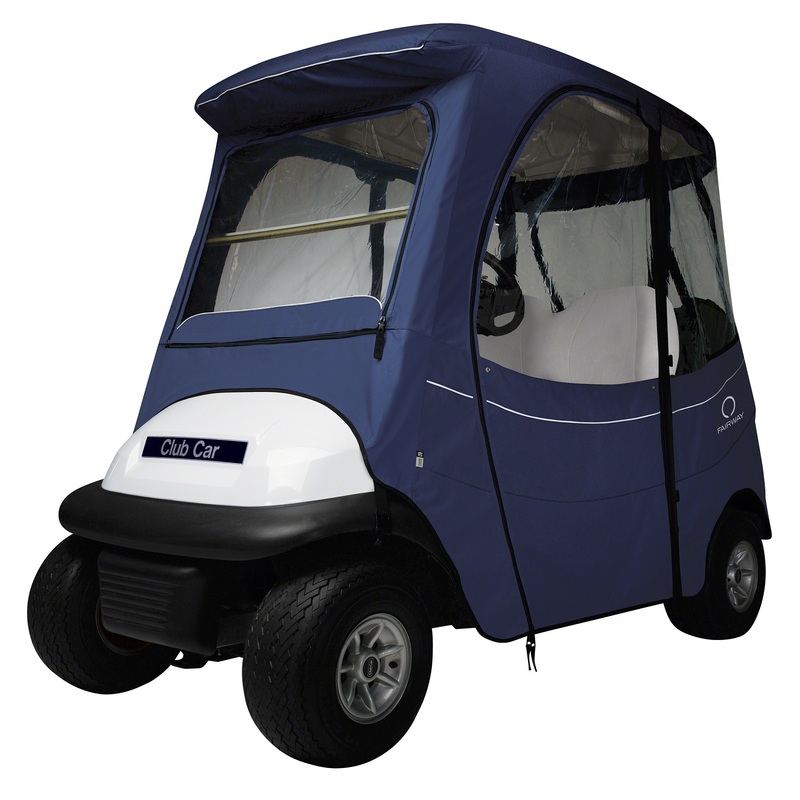 Enclosure keeps golf cars clean and dry in storage. Super-clear window material with heavy-duty polyester walls and top zippered doors and panels adjust quickly and easily to any weather condition. Doors can be rolled back or completely removed. Interior and exterior zipper pulls for quick and easy access to the golf cart. Reflective piping for enhanced safety. 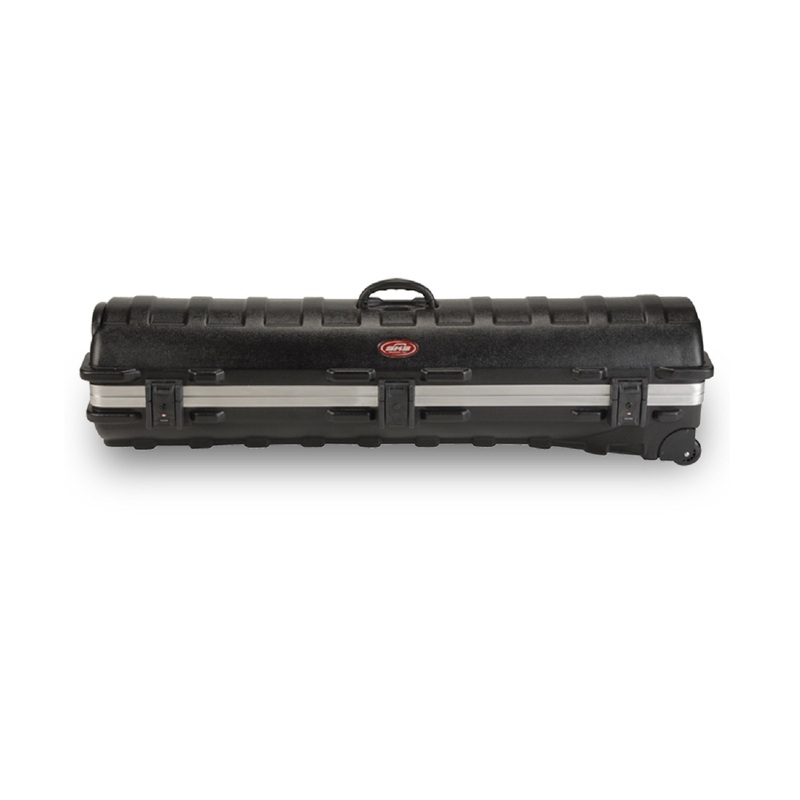 Convenient carrying duffle bag with padded handle included. Fits most The Drive by Yamaha two-person golf cars. EASY-TO-USE Talking GPS The second generation to the best selling Voice the Voice 2 comes with an increased battery life shows the Front/Center/Back of the green and is water resistant. Black/Silver. This item cannot be shipped to APO/FPO addresses. Please accept our apologies. If you are a proud owner of a golf cart, you definitely want it to serve you for years and be in top shape. This premium Club Car Precedent Enclosure for Short Roof- Khaki, is what you need to keep your investment protected from snow in the winter, wind in the fall, rain in the spring, and sun in the summer. The covers also protect the cart's paint job from scratches maintaining its visual appeal. 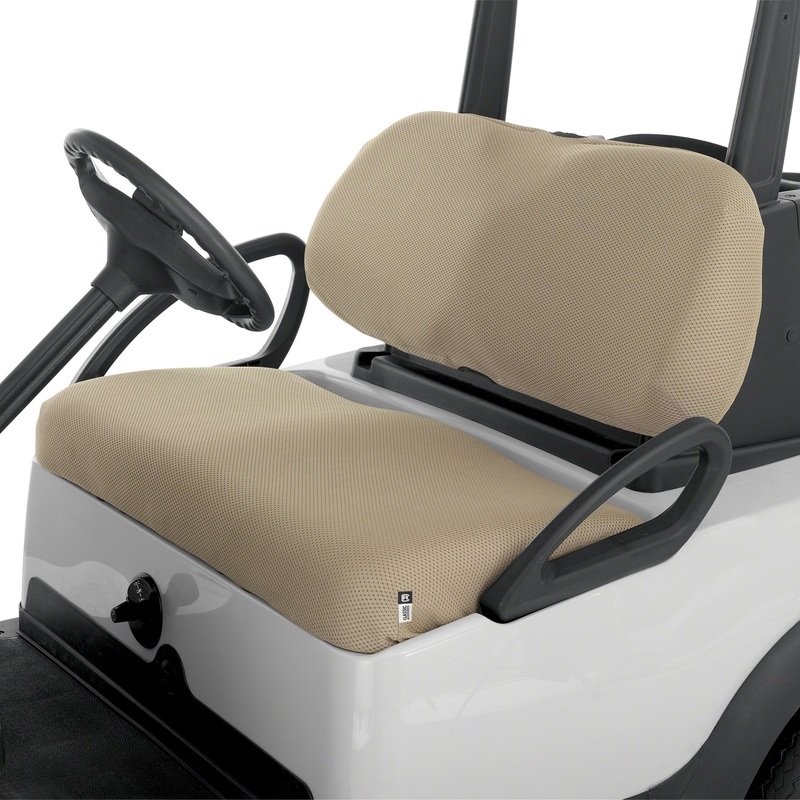 Classic Accessories provides top-notch golf cart covers at an affordable price so you can keep your vehicle in ideal condition without draining your wallet. The covers are made of tough waterproof fabric for ultimate all-weather protection and feature rear air vents minimizing wind lofting and inside moisture. If you are a proud owner of a golf cart, you definitely want it to serve you for years and be in top shape. 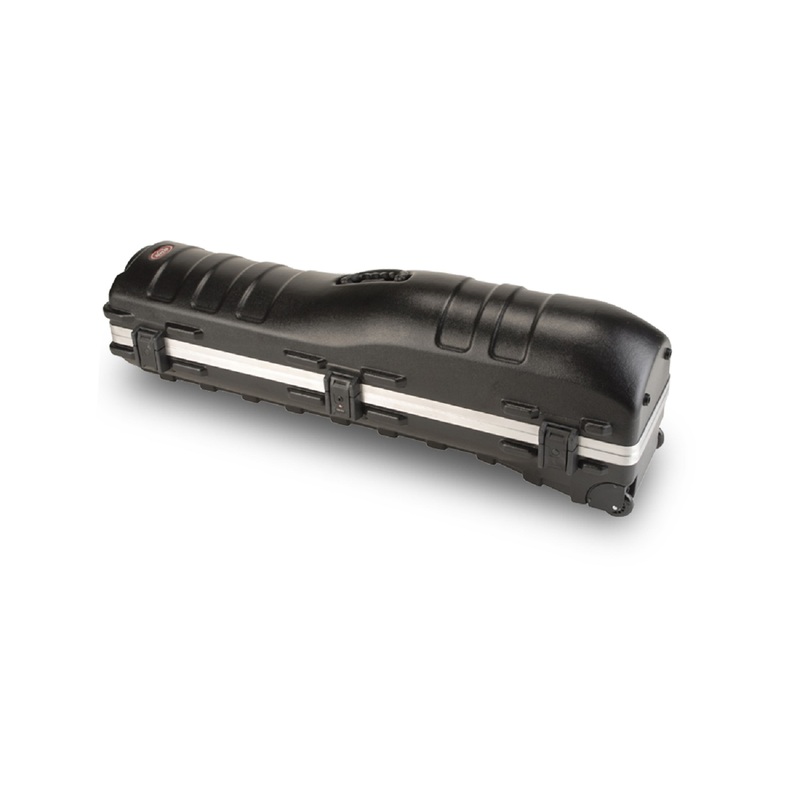 This premium Club Car Precedent Enclosure for Short Roof- Navy, is what you need to keep your investment protected from snow in the winter, wind in the fall, rain in the spring, and sun in the summer. The covers also protect the cart's paint job from scratches maintaining its visual appeal. 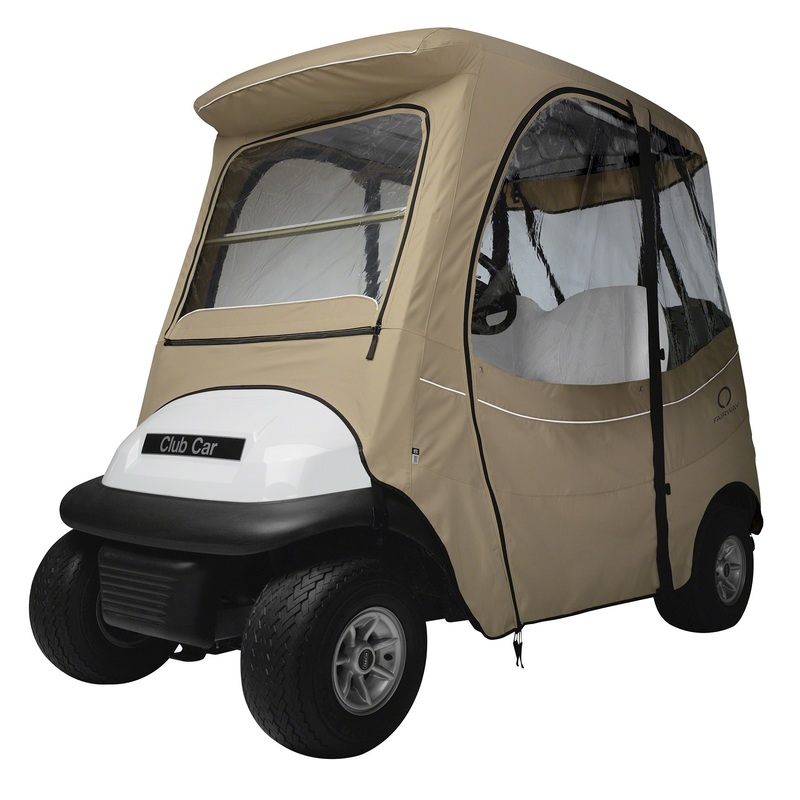 Classic Accessories provides top-notch golf cart covers at an affordable price so you can keep your vehicle in ideal condition without draining your wallet. The covers are made of tough waterproof fabric for ultimate all-weather protection and feature rear air vents minimizing wind lofting and inside moisture.